I met Shanna Rae Horstmeyer and her two young boys during a homeschool field trip last year. I heard she raised cows for milk. She recognized my feed-sack purse and introduced herself. She said she had been saving feedbags to work with but had been too busy moving onto their milk farm. Shanna Rae wondered if I wanted to stop by and pick them up after the trip. I followed her to Horstmeyer Feed and Garden Store, where I met her husband, Justin and her mother-in-law, Annie. Horstmeyer is a family-run store in Sanford, Florida that makes you feel like you have stepped back into Laura Ingalls’ time with its weathered old-wood floors, hand laid brick walls and beautifully worn beam ceilings. The atmosphere is warm and you just want to stay awhile and look around. My boys and I kept visiting the feed store for various items over the next year, and then I heard that Shanna Rae had a dairy milk cow and was selling milk at the feed store. This intrigued me so much that I had to call her up and find out about it. She invited us over to see her budding farm and meet Georgia, the dairy cow. She said if I wanted to see the process and join in on the early morning fun, the milking began at 6:45 a.m. The morning of our visit, I dragged my family out of bed at 5 a.m. and into the worst fog, I have ever seen. We were late getting to the farm because of visibility and I thought for sure we had missed the morning milking. When we finally pulled in, the Horstmeyer family came bounding out of their home, rubber boots and all, to greet us. The fog had prevented Shanna Rae from getting started on time too, so we were able to jump in and see how it all worked. The milk house and stanchion is a short walk from their back door. Shanna Rae’s cute little milk house is just big enough to hold a refrigerator. It also has a freezer, and the equipment for her milking machine, which looked like an oversized stainless steel milk can. Oh, and there was a tub full of baby chicks, of course! Shanna Rae looked as if she had been doing this all her life. With a big smile on her face, sterilized her equipment and got to works. Georgia the cow came right up and was ready to be milked. As we stood around watching Shanna Rae work, Justin shared with me how none of this was on their radar when they bought the property. His wife began taking an interest in a dairy cow, and it fits well to begin selling the mild in the feed store. Now that they have discovered how much they enjoy it, they have added beef cattle and pigs to their products. Justin also let me know that Shanna Rae dressed up for the occasion of our visit. She usually does the milking in her pajamas! I think it’s just something God placed in my heart- a dairy cow. The milking process took about thirty minutes from start to final clean up of the machine. Georgia gave about three gallons, even with an audience. Shanna Rae poured it up in half gallon mason jars, put a label on the top and Justin loaded them in his truck along with a few dozen eggs and take to work. My family and I went inside their home along with their boys, Nickolas and Taylor. They told us their mom had made her famous chocolate chip cookies and that they would be a nice breakfast treat for us. Even though it was 7:30 am I never turn down a homemade cookie. It was the perfect time to talk a bit about their budding farm and what their long term plans were. Q: What made you want to start a home dairy? Q: Did you grow up on a farm? Shanna Rae: My brother and I grew up on acreage, but it was not a full farm. At different times we would have chickens, pigs or rabbits. My grandparents always had beef cows and I loved playing with the new calves. I wanted the same thing for my children. Q: What animals do you have on your farm right now? Shanna Rae: We have chickens, pigs, nine beef cows and of course Georgia, our dairy cow. Q: What products do you produce here now that you sell at the feed store? 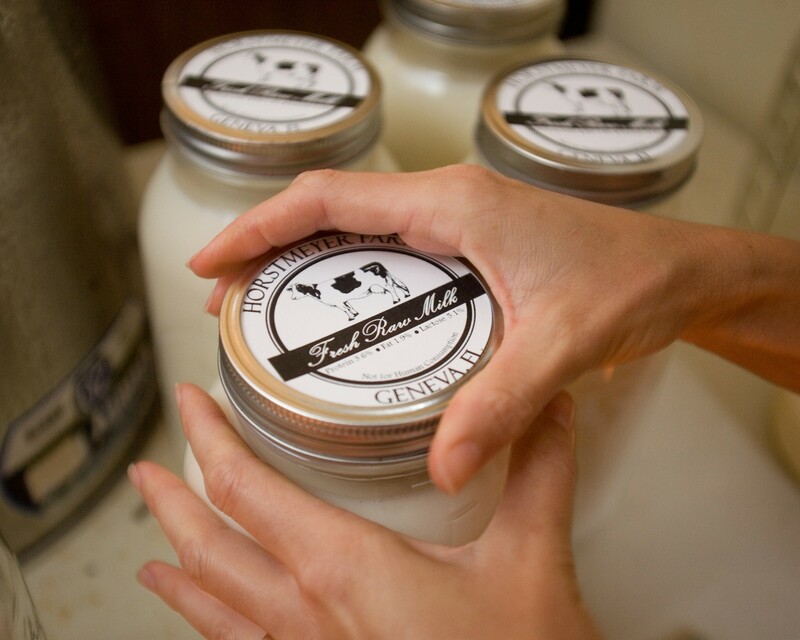 Shanna Rae: We currently sell our raw milk and fresh eggs. We get about three gallons a day. We have been selling out of milk for the last six weeks! 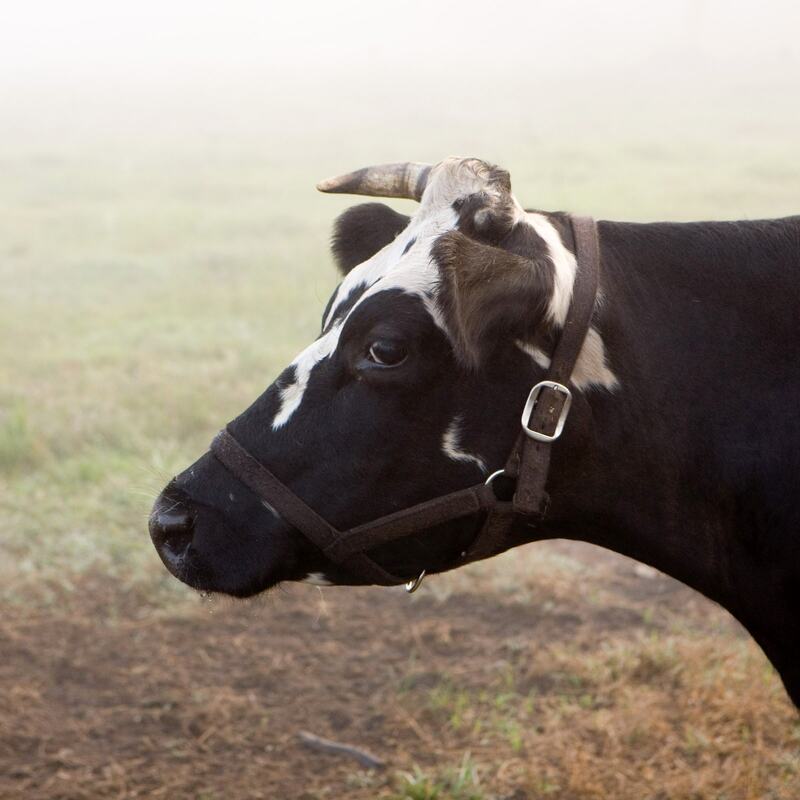 Q: Is it time to add another dairy cow? Shanna Rae: I think we will definitely consider it in another few months! Q: What do you see as your long term vision? Shanna Rae: Our vision for the farm is to be self-sustaining for us and other people. We have been consistently building pens, coops, and fencing in the pasture, along with buying new animals. When those animals reproduce, we hope to not have a need to buy more. Justin: The funny thing is, this was not our vision at all. Everything just seems to be falling into place and we can see the potential of this land. It ties in with our family feed store business so well. We already have connections with customers, it seems natural to start adding to it. Right now, all the animals are paying their own way in feed and upkeep with what we are selling at the store. It is allowing us to look ahead at what we can do next. We have two beef cows that will be ready for processing in a few weeks and the meat is already spoken for. We know there is a demand for farm raised, grass fed beef. So, that is our next project is to build on that. Q: How do you integrate your boys with the farm? Our two sons, Nickolas and Taylor take care of the chickens. We have about 20 right now. Each day they let them out to free range, gather the eggs, fill the feeders and package the eggs. The boys also care for any baby chicks we may have. 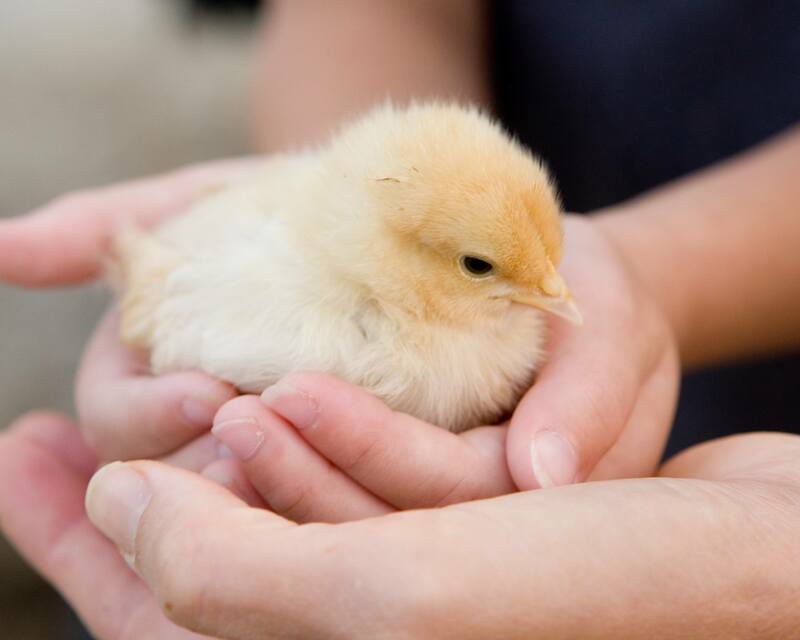 We incubate a batch each month and sell them at our family’s store. Q: What are the costs involved in starting the home dairy? 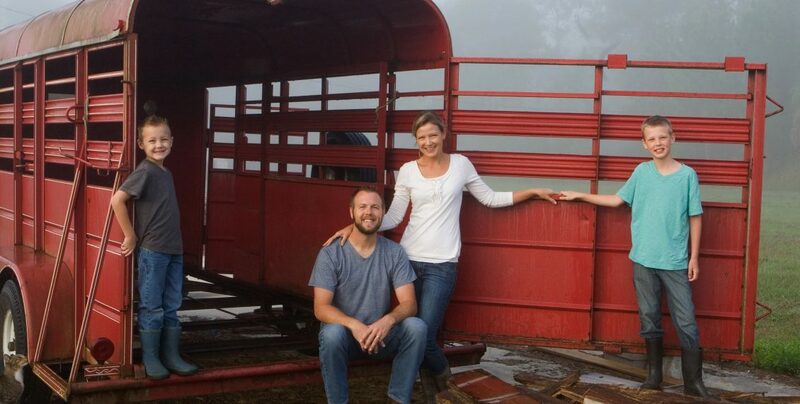 Before we brought home Georgia, Justin built a covered milking stanchion. We purchased a complete milking bucket (milking machine) and dairy cleaning supplies. All of these things make my milking routine much easier! We bought Georgia from a local raw milk dairy. Our startup costs were around $3500. Q; How long did it take to complete the project and get it up and running? After deciding to actually follow through with the crazy dairy cow idea, we ordered all the supplies, built the stanchion over a weekend and picked up Georgia that Monday. We dove right in! I had never milked a cow in my life! Q: How do you find your customer base? Our family owns a farm and garden store in Sanford. Most of our dairy customers are also regular store customers. I started a Facebook page, Horstmeyer Farm and blog, Florida Farmstead, to keep customers up to date with happenings on the farm and hopefully gain new customers. Q: what has been the best thing you have learned from your dairy? I would have to say that hard work and patience really pays off. We are slowly paying ourselves back on our initial start-up cost and we are enjoying healthy and fresh eggs, milk and meat from our animals. I love that I don’t have to grocery shop for those items. Q: What is your favorite chore in the dairy process? Milking. Although it is very early, it is such a peaceful and relaxing time of the morning. It is the perfect time to pray and a great start to the day. Usually, the sun is rising as I milk, it is the prettiest time of the day. Q: Do you see your boys becoming more involved in the farm and store as they get older? Absolutely. I hope they grow to love the farm as much as I do. They talk about working at the store when they are old enough and what type of vehicles they will need to haul hay. We closed out our visit with some old fashioned butter making in a mason jar. I was excited to be able to take home fresh milk, butter, and a dozen eggs from our morning adventure. I feel like I have a new friend and kindred spirit in Shanna Rae. She is proving that you don’t have to wait until the perfect time or have the perfect place to bring self-sufficiency and sustainability to yourself and your community. As a home-schooling mother of two young boys, Shanna Rae has found a new passion to share with them. She also brings extra income for her family and the hopes of future products to share with customers at the family store. Milking. Although it is very early, it is such a peaceful and relaxing time of the morning. It is the perfect time to pray and a great start to the day. Usually the sun is rising as I milk, it is the prettiest time of the day. We closed out our visit with some old fashioned butter making in a mason jar. I was excited to be able to take home fresh milk, butter and a dozen eggs from our morning adventure. I feel like I have a new friend and kindred spirit in Shanna Rae. She is proving that you don’t have to wait until the perfect time or have the perfect place to bring self sufficiency and sustainability to yourself and your community. As a home-schooling mother of two young boys, Shanna Rae has found a new passion to share with them. She is also brings extra income for her family and the hopes of future products to share with customers at the family store.